IT'S TIME TO JOIN THE CONVOY! Photo by Donna Davo. 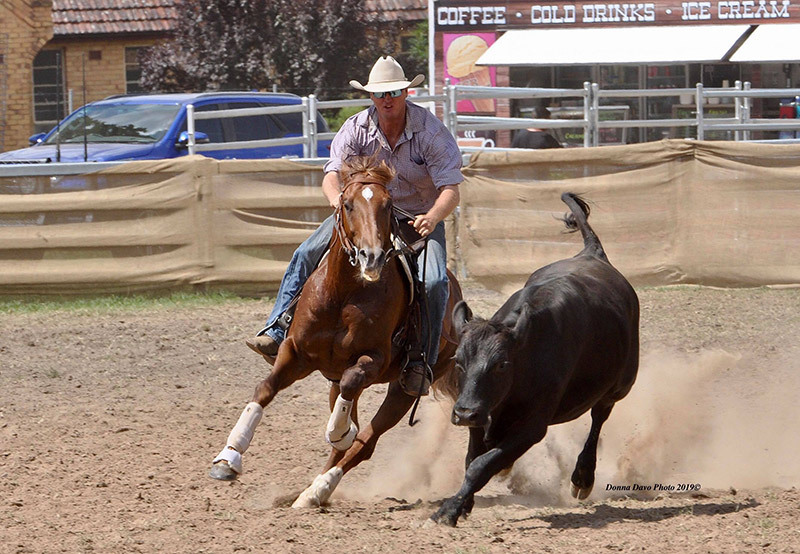 Archdale Convoy & Pete Stevenson, Armidale 2019. 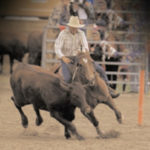 To understand the Archdale Convoy story you need to remember back to Warwick in the late 90’s and 2000’s when Chevelle and Conman were two of the standout horses of their generation. As time passes they have both become horses that are regularly compared throughout the generations. Comments such as “are they two of the greatest ever” are relevant. 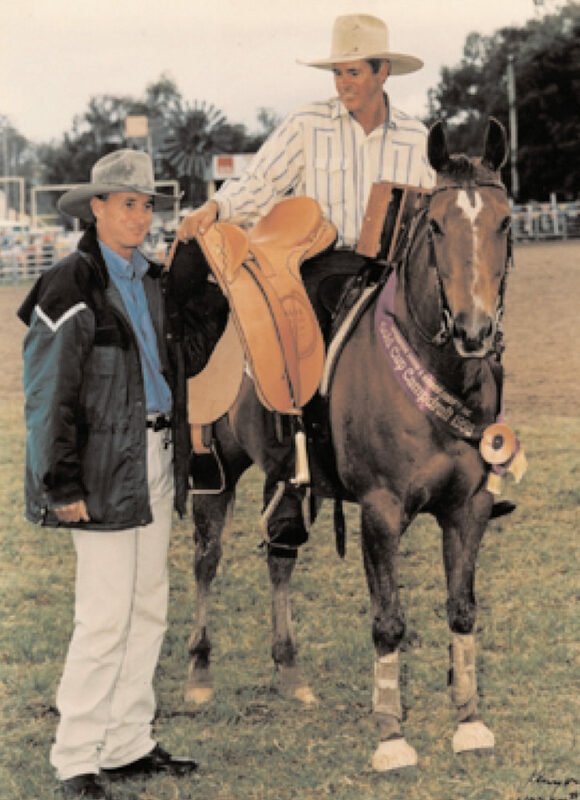 One of the elite mares of the 90’s was John Meek’s Chevelle, a lovely chestnut mare by Doc’s Spinifex. This combination finished 2nd in the 1997 Gold Cup before returning the following year to win the coveted Warwick Gold Cup. To quote John on Chevelle’s achievements he says, “Yeah, we went OK”. 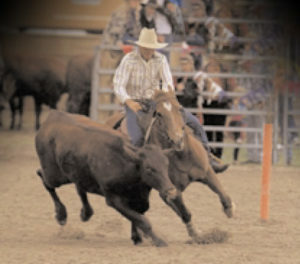 When her career ended she was bred to Cattle Baron and produced a filly foal, Archdale Chanelle. Chanelle was broken in and had just started her career. 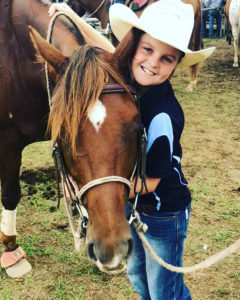 She had one run in the Maiden at Rylestone and then injured a tendon and was never ridden again. Again to quote John, “Yeah, she went good. Had a bit of ability”. John then bred her to the very best in Hazelwood Conman with Archdale Convoy being the foal. 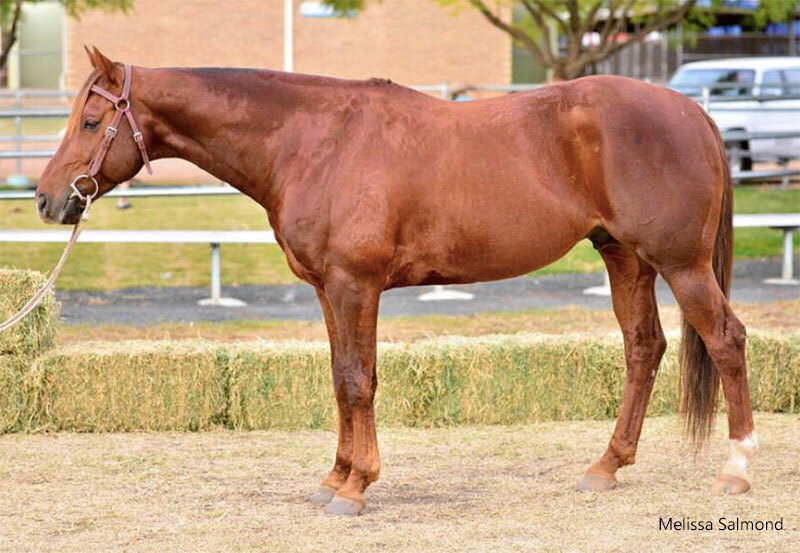 Long-time friend of John’s, Richard Adams saw the colt foal and immediately liked him and offered to buy him. “Yeah, I was happy for him to have him so I sold him. Good to see him fulfil his potential”. Photo by Melissa Salmond. Archdale Convoy. 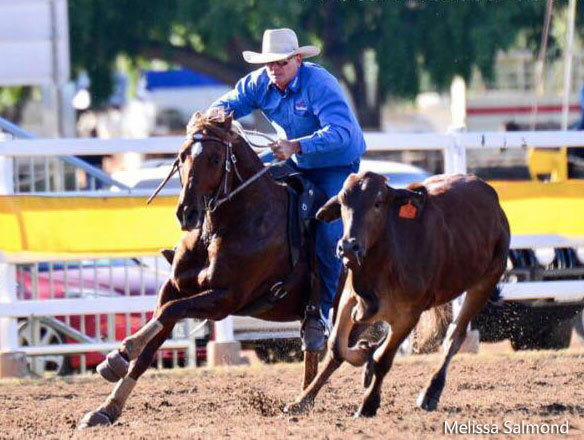 Richard then broke the colt in on the road while he spent 12 months droving, giving him every opportunity to develop into a really solid camp horse. He started Archdale Convoy at Ashford as a youngster running an 88 and impressing the onlookers, including Philip Frame. 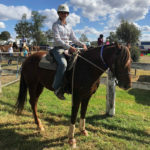 A Novice win at Inverell soon followed. When Richard decided to let Archdale Convoy move on an offer was made to purchase him by Philip and Pete Stevenson. Philip was looking for a home sire for his Cool Gun mares and for a standout competition horse. 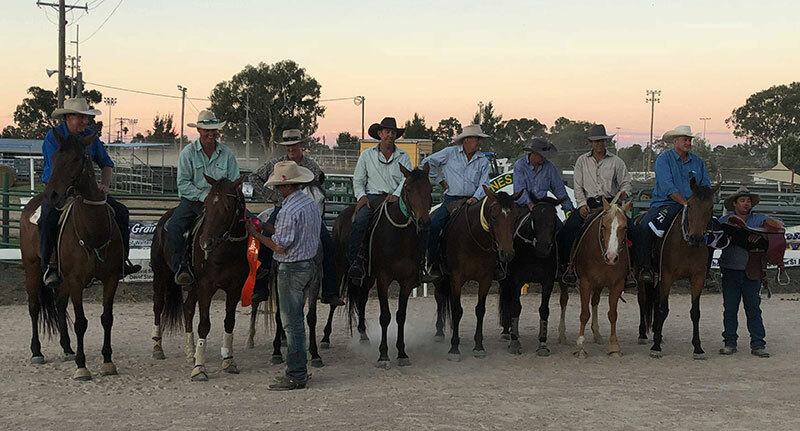 Convoy presented an excellent outcross with his Spinifex and Conman bloodlines and both Philip and Pete agreed he possessed both these qualities in his work style. 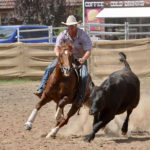 Spinifex horses naturally show a lot of cow in the yard and he travelled just like a Conman outside, effortlessly rating his cattle, plus he comes from a really powerful Spinifex mare line in Chevelle. 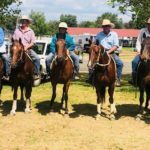 Archdale Convoy & Riley Stevenson. 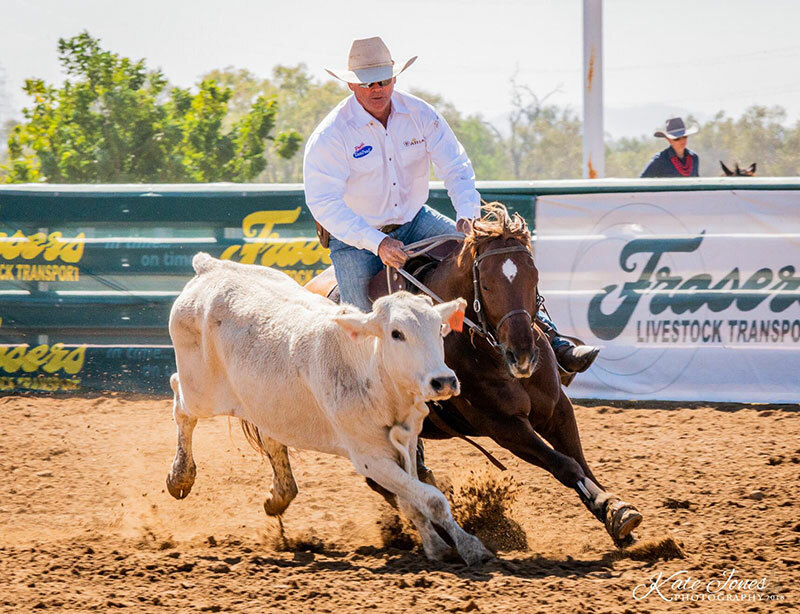 Convoy spent the winter months of 2018 with Pete Comiskey to further his competition career, get some runs on the board and to get his name out and about around QLD. 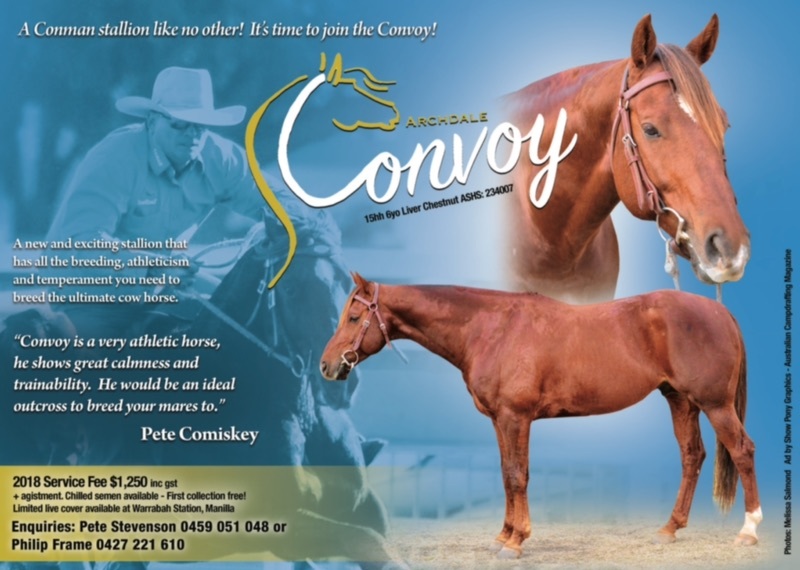 Pete commented that Convoy has one of the most trainable minds he has worked with. Since being back with Pete Stevenson Archdale Convoy has continued to improve and impress, and has proven to be a wonderful family horse with everyone riding him at home, even 10 year old Riley, and having campdraft success with Abby in Juvenile drafts. Expect to hear a lot more of Archdale Convoy. 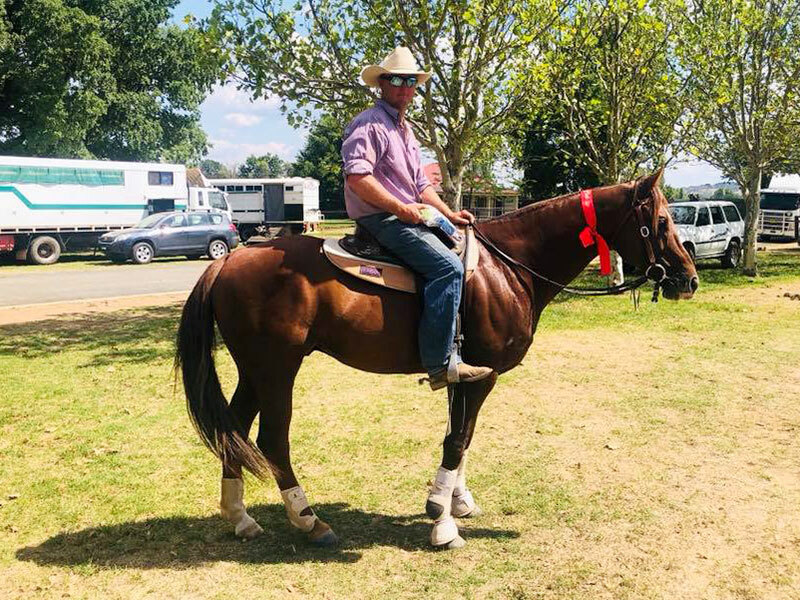 Inverell Sapphire City Spurs Novice – =5th with Pete Stevenson. 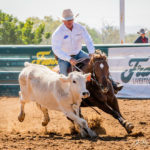 Bundarra Restricted Open – 4th (88 90) with Pete Stevenson. 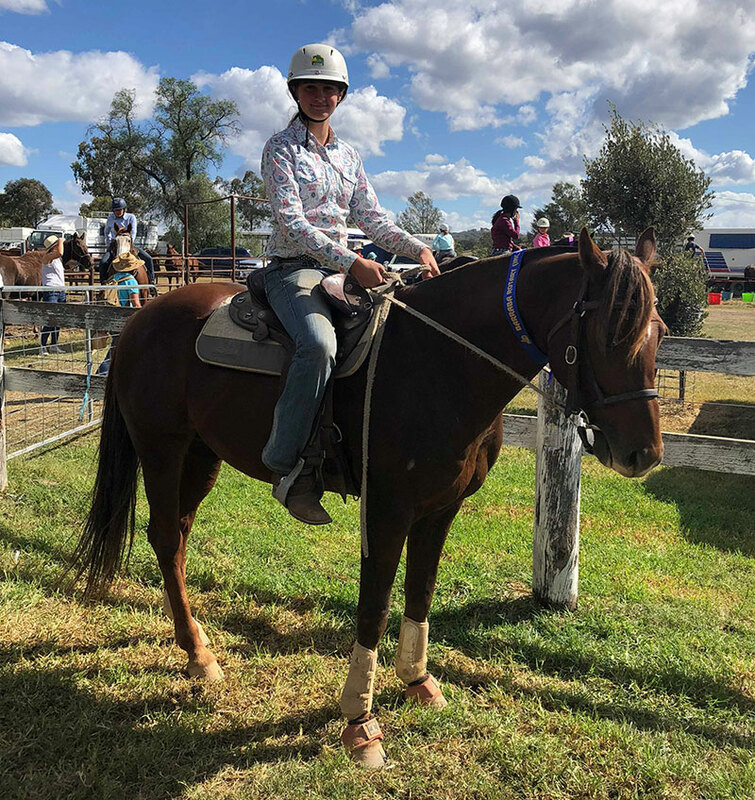 Inverell Novice – 1st with Richard Adams. 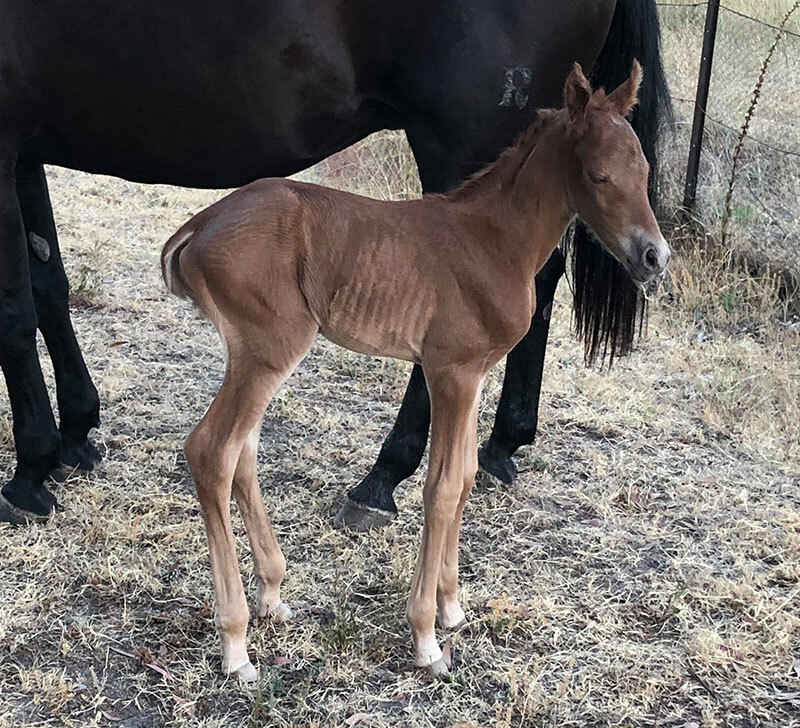 Filly, born Jan 15, 2019, owned by Stevenson family. 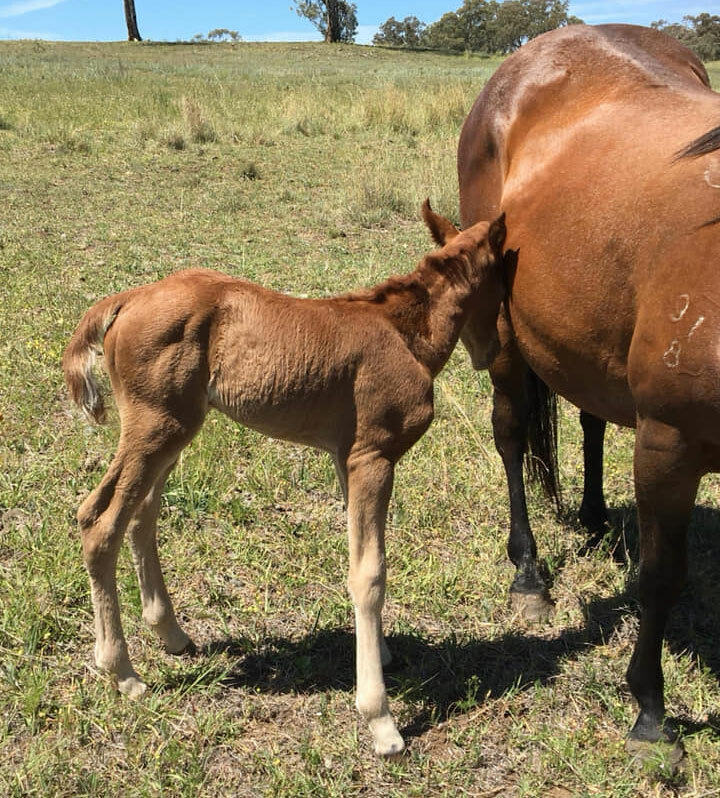 Archdale Convoy filly, owned by Stevenson family. 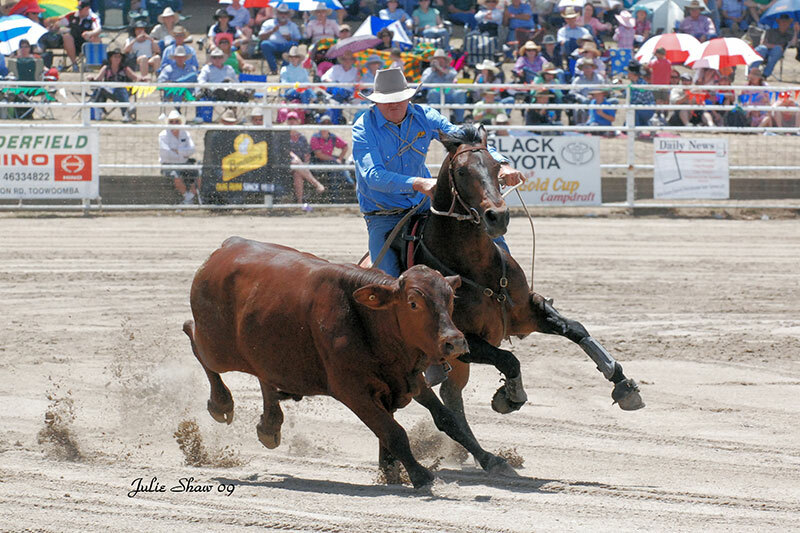 Archdale Convoy colt,, owned by Beau Frame’s family. 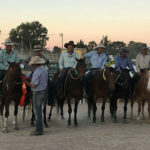 Read article “John Meek and Doc’s Chevelle“, courtesy of The Warwick Gold Cup, “Campdrafting’s Memories and Magic Moments”. Ad by Show Pony Graphics, ACA Magazine. Photos by Melissa Salmond.